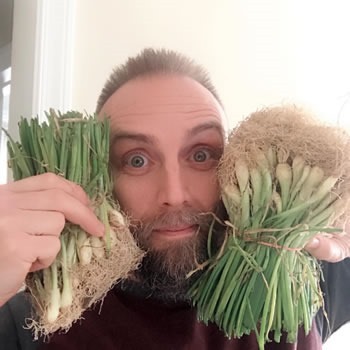 A few days ago, I received a beautiful delivery from a local farm – 200 sweet onion starts! Needless to say, I was pretty excited. 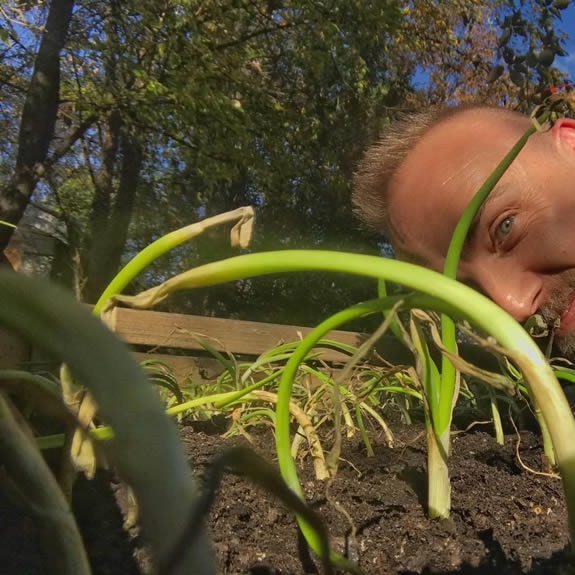 This year, onions will be the only crop I am really intensively growing over the cold months, while I work hard to finish doing some major clearing and laying out paths and new beds in time for spring and summer. To save myself time, and because I didn’t have an in-ground bed ready to plant a root crop, I decided to repurpose an old greenhouse that was in disrepair, and turn it into a raised bed. 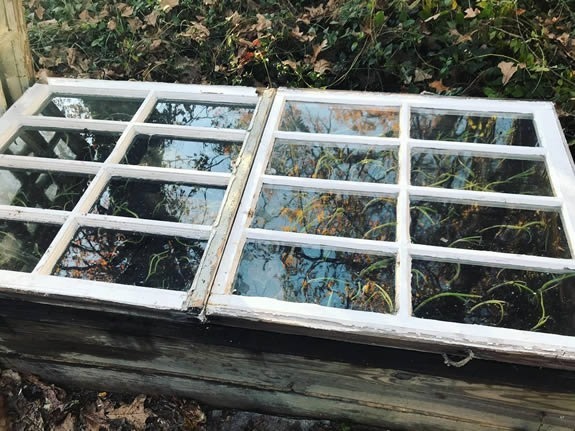 While the baby onions get their footing, I’m using a couple of old window panes to keep them warm when the temperatures get particularly cold at night. To protect the onions from our overabundance of frisky squirrels and neighborhood feral cats, I made a cover using poultry wire that will easily keep the dig-happy wildlife at bay. Onions are one of the easiest crops to grow, especially in the cold months here in the south. If you give them aerated, loose, healthy soil that’s free of stones and debris, they’ll pretty much take care of themselves. 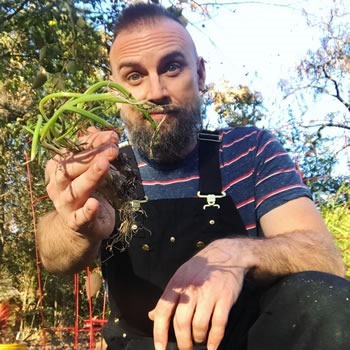 When I got the bed planted, I had plenty left over to tuck a few here-and-there throughout the garden, and I saved the smallest of them to plant in a self-watering container to keep indoors, ensuring that we’ll have fresh onion greens all winter long. Next post: Happy New Year: 2018 is Alive!